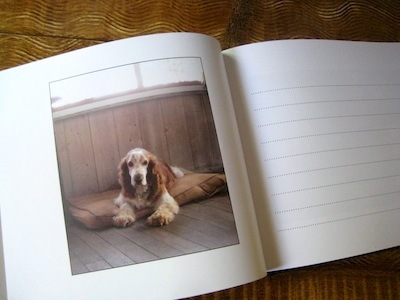 * As a thank-you present, I made a guestbook/journal for Suzanne and her family at blurb.com. I've made several books there in the past few years. This time it printed a little darker than I thought it would, but overall, it's quite beautiful. She loved it (and her husband, Tom called from work the next day to say that he did too). One of these days I'm going to get a better camera. I still use a Canon PowerShot SD750. * Mr. America, the new sampler, will be for sale on Monday. Very sweet, this one. All stitched up and ready to go. * The strike-off's for my new fabric line arrived and they are Fabulous! I am so, so over-the-moon thrilled with the quality and look of my designs on fabric. Cannot wait to show you more! Walnut Hill Farm ships for January from Anna Griffin's new venture, Blend. Debuts at Quilt Market in October! * Spoonflower is having a free 8 x 8" swatch day. It's also a chance to donate to Heifer International as a fundraiser. Great cause! I ordered a swatch of that coffee fabric I designed for their contest. You have until tomorrow at noon to pick a patch of fabric from anything on their site and consider making a donation too.